These days, our children are bombarded by bright colors, flashing images and the constant draw of the screen. It’s hard to get away from. It’s hard to avoid. Children are spending more and more time in front of a television, tablet or computer screen. It’s very easy to dismiss this screen time as a waste, as not adding anything of value to the people we are hoping to raise, the adults we’d like them to become. 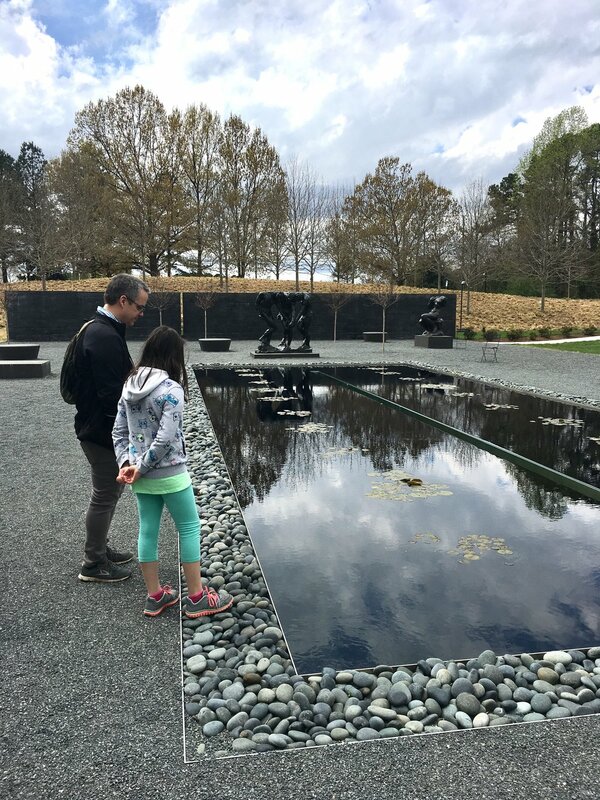 When my daughter asks me to play a video game, I often balk, thinking of gaming as the ultimate waste of time. This is coming from someone who used to spend hours playing World of Warcraft in my twenties. Bit hypocritical of me, no? At least, that’s how I used to feel. Lately, I’ve come to realize that there’s a lot more going on in her mind while she’s gaming than I thought. I had completely underestimated the value of this kind of play. When she was a toddler, and I still played World of Warcraft from time to time, she would sit on my lap and hit the space bar to make the characters jump. As she got older, she liked to play around with the horses and dragons that you could ride around on, exploring the geography and giggling as she dropped a character from an insane height and watched them fall harmlessly into the water. These days, my daughter is almost 10. She has started playing the game legitimately, making her own characters and taking them on quests. She likes creating new characters more than she enjoys the questing and leveling up and she’s got quite the collection. She enjoys the process of choosing their features, giving them a name, getting to know them. I sat down with her one day when she was sick. She showed me her characters and proceeded to explain their family histories in great detail. Several of the characters were related. She took me on a tour of the town and showed me all the in-game characters that related to her own. One had left his son and wife in the big city because he needed a job. Another had learned a skill well enough to train others. She was a role model to the rest of her family, including M’s character. She spent ages telling me all about them, stories she had concocted out of her own imagination. How amazing, to see beyond the screen and realize that there’s real creation going on underneath. Not long after that sick day, M pulled out her writing notebook and started working on a story. 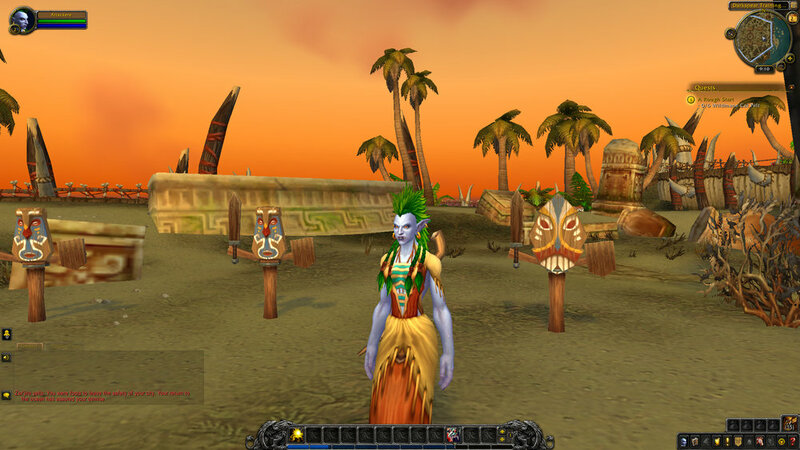 Her story, it turned out, was based on her World of Warcraft characters. She had come up with a fascinating cast, each with unique names and detailed backstories. There is a depth to the story that has me wanting to know more. She hasn’t finished writing it yet. Maybe she never will, but I’d love to see where she takes her story, what happens to her characters, and what her imagination can design after being inspired by a video game. Just the other day, M decided to throw an impromptu World of Warcraft party for the family on a Saturday night. I had no idea what to expect, what ideas she had swimming around in her head. I actually thought we might just spend the evening playing the game together, but she had other plans. She dragged Dad out to the store and created a menu based on food in the game (sticking well to the budget I had laid out, I might add). She designed games for us to play, based on the different races, cultures and quests in World of Warcraft. 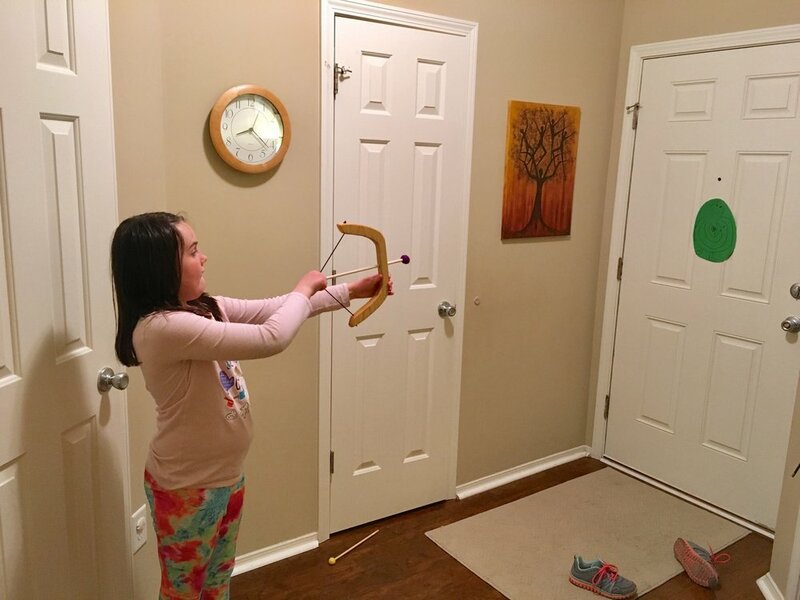 By the end of the evening, we were shooting toy arrows at a Dark Iron Dwarf, crawling around on the floor to see who could find the most ‘apples’ and searching for a lost Hippogriff to take to Exodar. 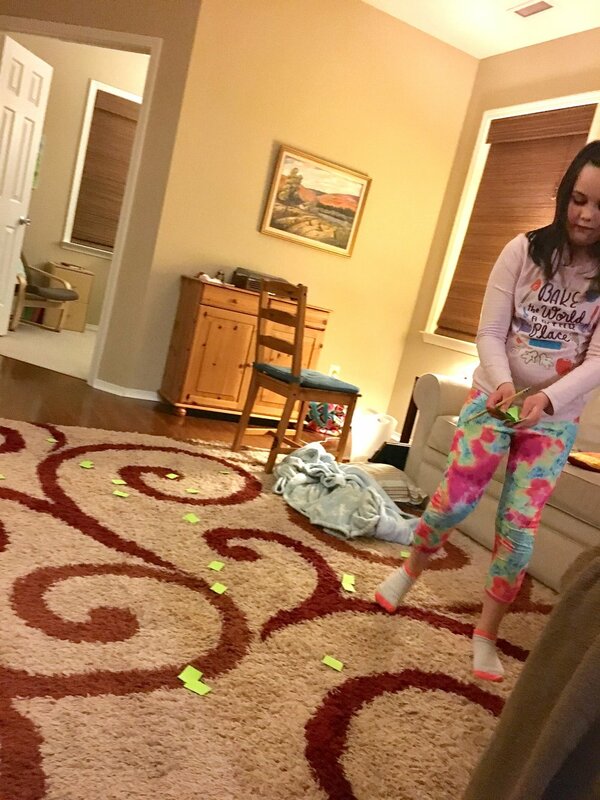 I was so impressed with the ideas she came up with in a relatively short amount of time. 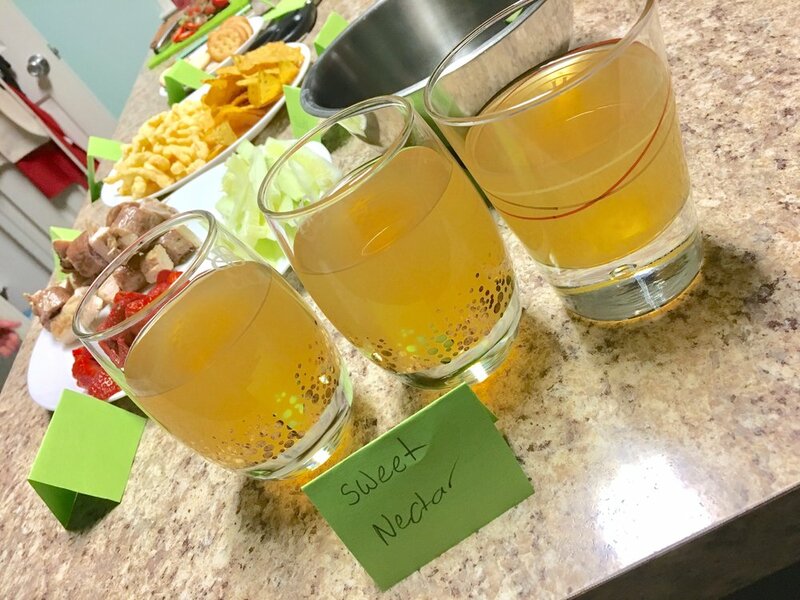 We had a yummy array of food, creatively chosen, and a lineup of fun games, none of which actually involved a screen. She had taken her screen inspiration and turned it into something we could all do together in our living room. 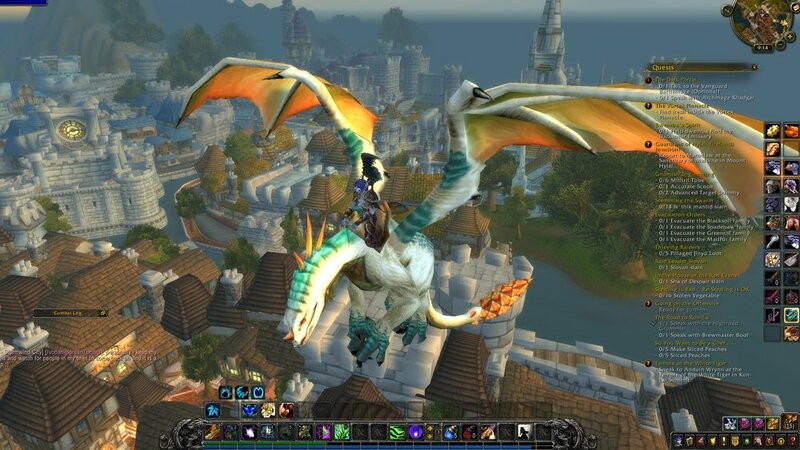 World of Warcraft has given M so much more than a game to mindlessly play (although I also believe in the benefit of disconnecting for a bit and relaxing into a game world). It has given her inspirations, characters, stories and artwork. In an imaginary world like this one, with vibrant colors, defined cultures and lush landscapes, it’s easy to branch off and start creating ideas of your own. The next time your child is really into a video game or tv show, try to look a little beyond the screen. See if anything else is going on. Maybe you can even encourage them to create within the theme, within the thing they love. A few weeks ago, I profiled the creative confidence picture books of Peter H. Reynolds. Did you know that in addition to writing and illustrating his own books, Peter H. Reynolds also illustrates for other authors? He has done the illustrations for multiple picture books written by Susan Verde. One of those books is called The Museum. 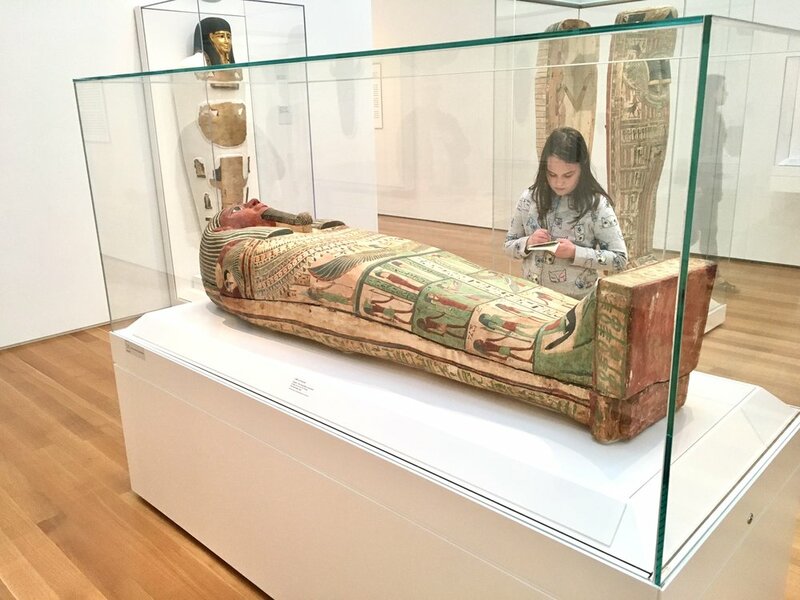 It’s a fantastic book that follows a young girl through her visit to an art museum. We see the way she feels as she moves from exhibit to exhibit, allowing the different art to change her moods, her thoughts, and even the way she moves her body. 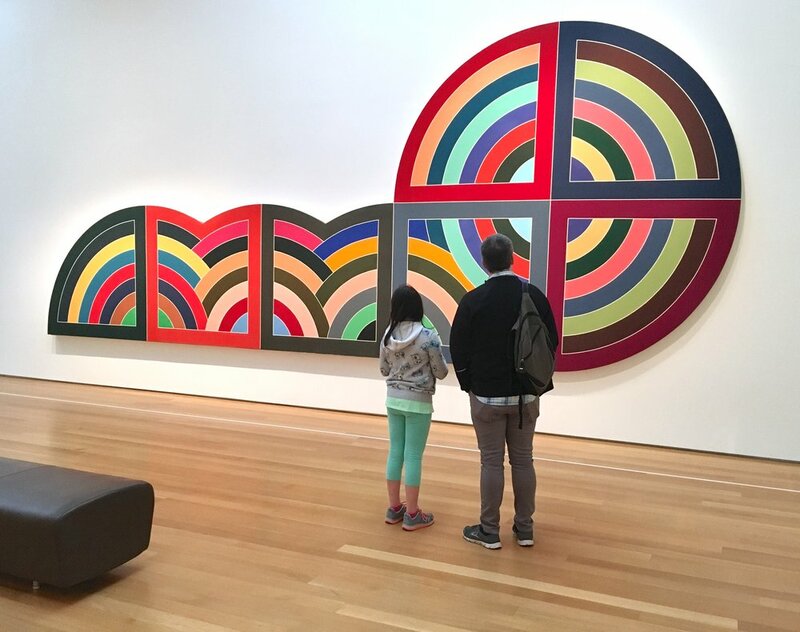 A visit to a museum can be a powerful lift for our creative confidence, providing ample inspiration and opportunities to exercise the creative centers of our brain. 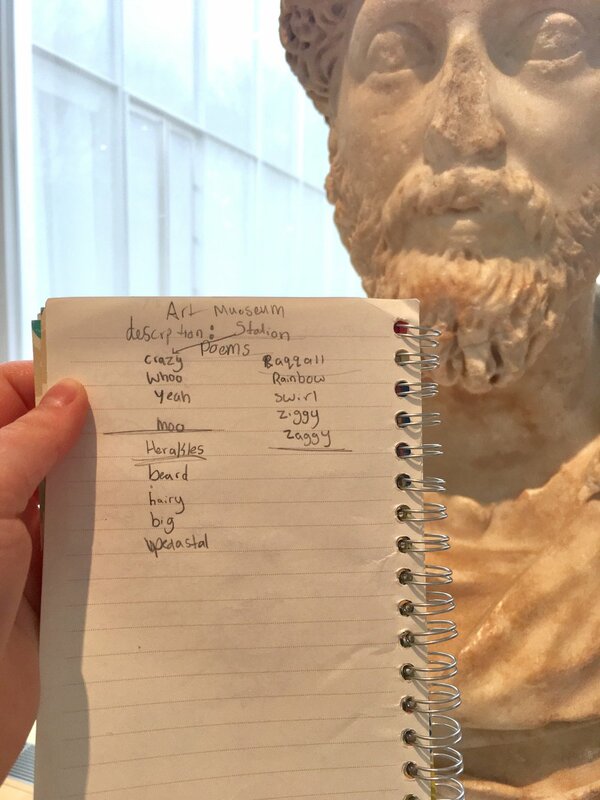 The obvious choice is an art museum, which allows us to study different forms of art, from ancient to modern, from two-dimensional to three-dimensional. An art museum surrounds us with color, emotion and scenes from the past. It’s bound to get your sketching fingers itching to grasp a pencil and work those muscles. You may find the visuals enticing, but prefer to express the thoughts and feelings that are evoked through your words, rather than images. In that case, you can try jotting down words as you walk through the museum. This can be much like jabberwalking, which I discussed in my post on poetry. 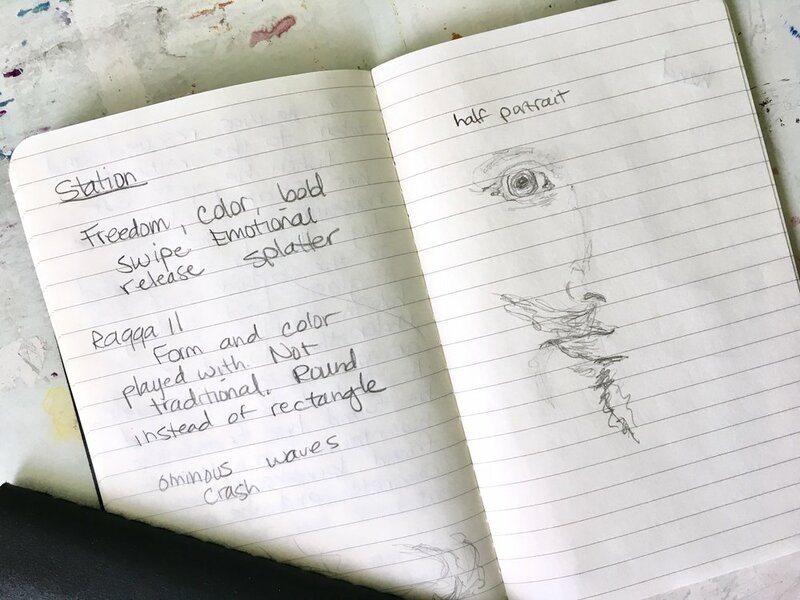 Writing down your observations and emotions while walking through an art museum can lead to fantastic poetry…or at the very least, some interesting introspection. 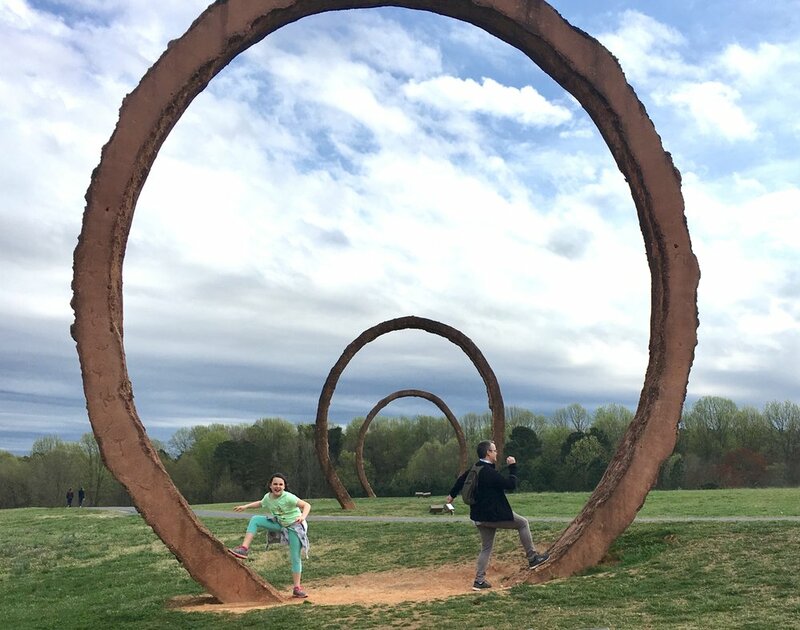 We are lucky enough to have an outdoor sculpture garden and walking path as part of our local art museum. This means that we get the chance to interact with the art. This can make for a fun experience that brings art out of the stuffy museum and right into the playground. 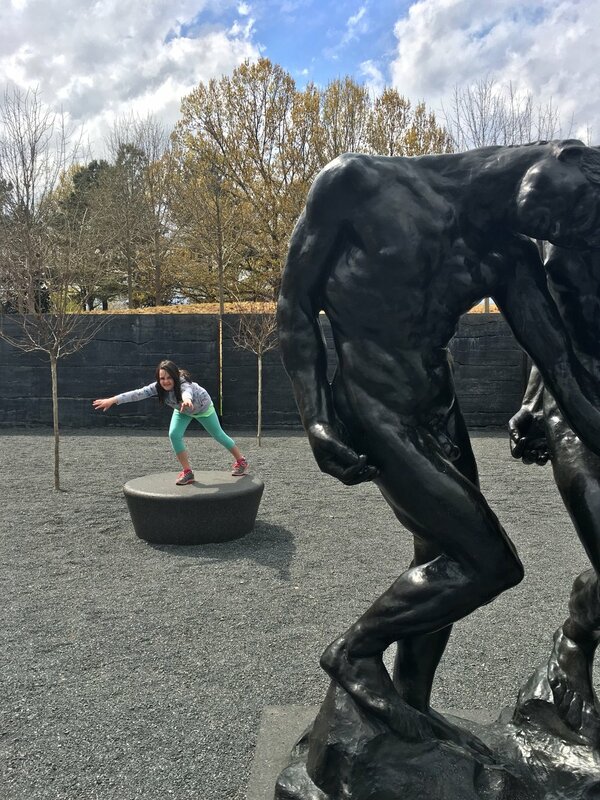 Art museums are not the only museums that can lead to creative exercise. 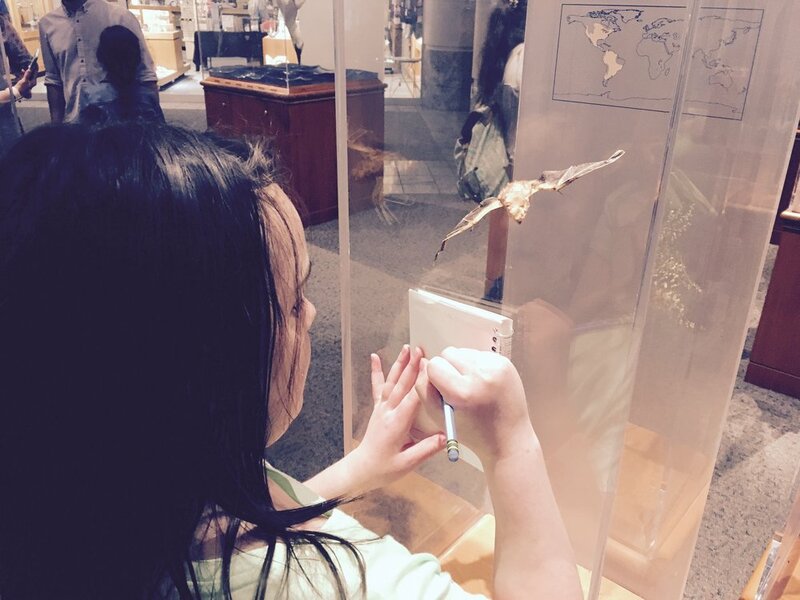 Pretty much any kind of museum, from history to science, can inspire and lead to creative expression. We took a trip to a local science museum to see what kind of creative mischief we could get into. 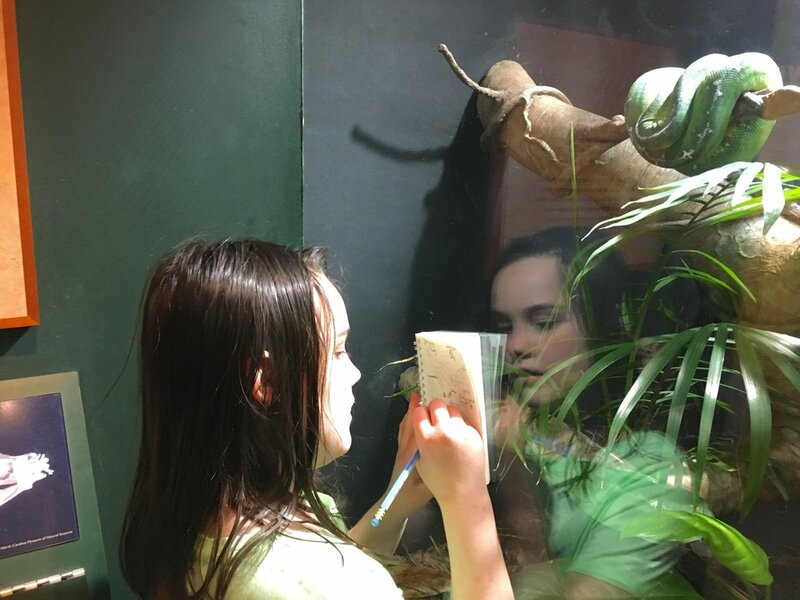 While exploring rooms filled with science and nature, we found plenty of opportunities to practice drawing, write poetry, brainstorm story ideas and work on photography. All of this in one museum! 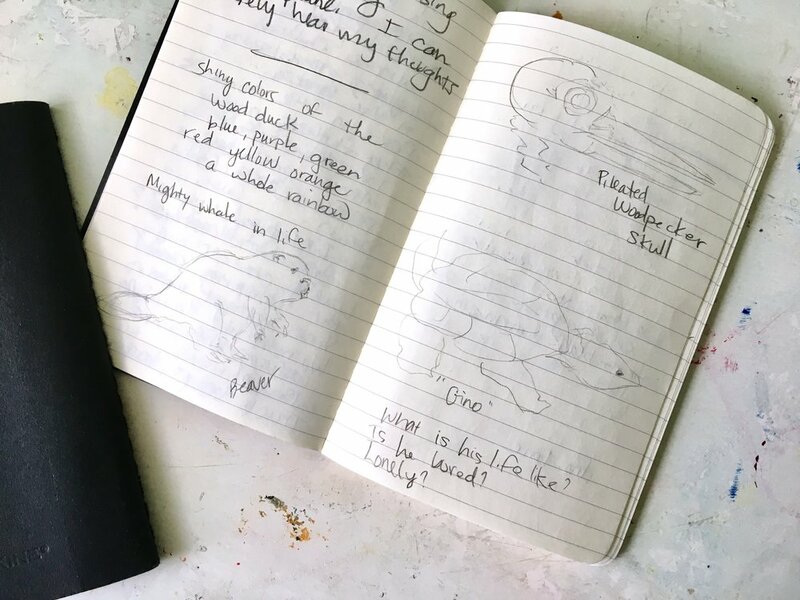 When we came home from our museum day, we had new sketches to admire, inspiration for future art, a great brainstorm for a story idea about a turtle, fun photos and the beginnings of a poem or two. Not bad for an afternoon on the town. 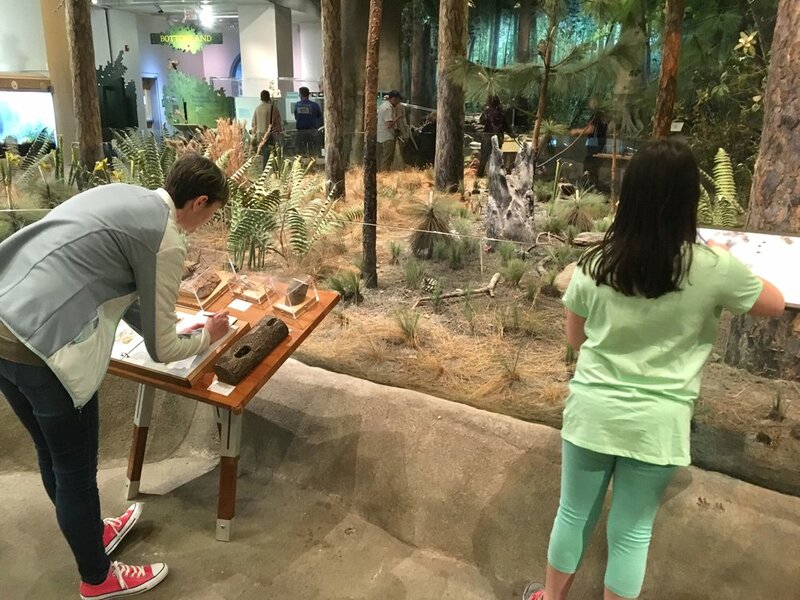 Don’t have a museum near you? Don’t despair! You can create a museum-like atmosphere right in your home. Dig through your book collection for drawing or writing inspiration. Check out some books from the library on famous paintings, sculpture, dinosaurs…anything you want. Lay the books out like a museum display and have fun looking through the pictures. The internet is also a fantastic resource. Many museums offer views of some or all of their collections online. 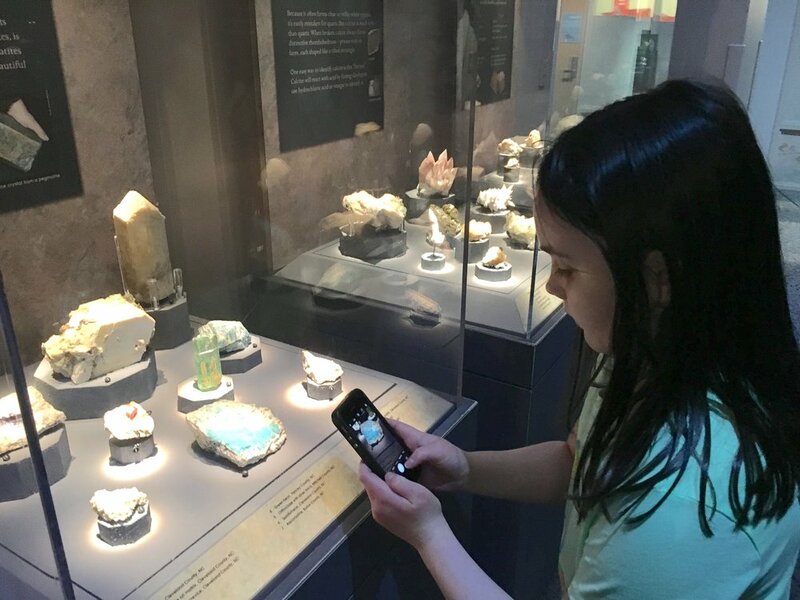 My daughter really enjoyed this virtual tour of the National Museum of Natural History in Washington, D.C. It makes you feel like you’re right there in the museum. You can take a look at some of the Louvre collection online, as well at the British Museum and the Metropolitan Museum of Art. These are just a few examples. The internet is full of resources to help provide that museum experience when a museum might be hard to come by.